Providing you the best range of vibro feeder for crushers, vibro feeder and vibratory screen with effective & timely delivery. 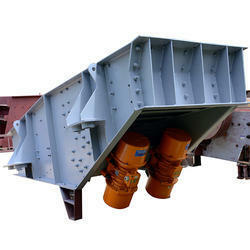 We are engaged in offering of Vibro Feeder for Crushers. They are wear resistant and thus do not influence the quality and character of the product they handle. 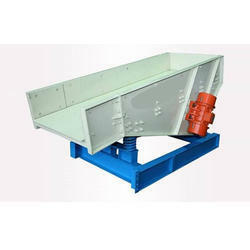 Heavy duty vibratory feeder have welded construction, which transmits vibrations without fatigue. Vibro Feeder are used for controlling the flow of material from feed hoppers to the vibrating screen, using twin unbalanced vibro motors, Vibratory Feeders, Vibratory Screen. Compared with other conveying means vibratory feeders have low energy consumption and cause little pollution. They are wear resistant and thus do not influence the quality and character of the product they handle. We are offering Vibratory Screen which finds its extensions in various industries. 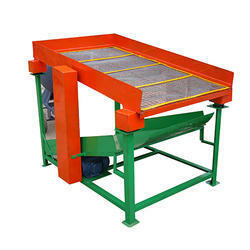 We offer customer made Vibratory screens made of different aperture sizes and metals with an option of folded edges. Our Vibratory Screen makes use of vibratory motor for coarse as well as medium fine applications and is supported on springs. We offer customization on our range as per the demands of our clients. Our vibratory screen available with with eccentric shaft system as well as with unbalanced vibro motors ensure efficient sieving of sand. Looking for Vibratory Screen and Vibro Feeder ?